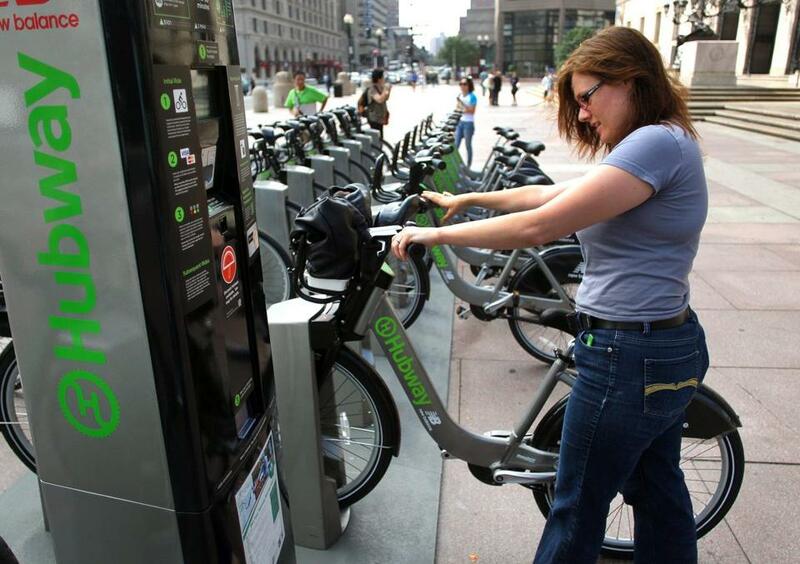 A rider returned a Hubway bike to the rack in Copley Square. A much colder experience will be available in Cambridge this winter. Though wintertime is hardly prime cycling season in the Boston area, the annual shutdown of Hubway comes as a disappointment to devoted users who rely on the bike-sharing system for basic transportation. So, it’s encouraging that Hubway and Cambridge announced last week that the service will stay open in the city through the winter. Putting more bikers on potentially icy roads raises obvious safety concerns, especially if snow drifts choke Cambridge’s already narrow streets. Riders must use common sense, and Hubway and Cambridge officials should keep apprised of accidents and injuries. Other challenges are more prosaic: Hubway will have to remove the bikes from kiosks before blizzards, and hire contractors to plow the stations in case of heavy snowfall. To remove corrosive road salt, the bikes will need to be cleaned more frequently. Still, bike sharing systems in other cold-weather cities, such as Toronto and New York, are offering year-round service, and it’s vital to ascertain whether the entire Hubway network can follow suit in the future.